Many years ago I dated a guy who loved the ballet. I thought he was rather nuts. Not that I had anything against the ballet. At the time, I liked it in principle: incredibly ‘fit’ people in tights and leotards and sometimes sequins performing astonishing leaps and bounds. But then on our fifth date, this man took me to see a performance of the wooden implement that turns into a prince. My date hummed along to every symphonic number, much to my amazement. Turns out, this was his sixth year of attending the December extravaganza. I was kinda deciding I liked this guy, but really….a grown man enjoying a kid’s ballet every Christmas? But as I looked around at the Philadelphia’s Academy of Music evening performance that year, I noticed the sparkling eyes of adults – many adults – and just a few children. This was obviously not just a “kid’s” show.
. . . and now I’ve attended over 30 performances of Tchaikovsky’s Nutcracker, from Philly to San Francisco to Boston. Every December, this has become our holiday gift to each other. Embarrassingly, we’ve never taken our kids. (Yes, this is a big shocker and please don’t judge me.) My mom treated our daughter for a few years until they both lost interest. Our son preferred the idea of torture rather than view grown people leap on a stage in embarrassingly skin tight fabrics, so we didn’t make him. He had no idea how thrilled we were to not bring him along. But a few years ago we saw a sparkle of interest in the eyes of our 5-year-old granddaughter, who danced as the sugarplum fairy in her little ballet troupe. Three years later, she’s become as “nuts” as her grandparents. Her Christmas gift again this year is no computer game or Pokemon, no iPad or new school dress. Just a trip into Boston to see THE NUTCRACKER. And I swear, as tears trickle from my eyes during the Snow Queen’s performance, my granddaughter shifts to the front of her seat, releases a humongous satisfied sigh, and hums to the music. Happy Holidays to One and All. What’s your best holiday gift this year? A lovely story of your relationship with the ballet, specifically the Nutcracker. I’ve only seen it performed on stage through the TV screen but would love to see it ‘live’. Your husband is a clever man for introducing you to it as he did and I hope your little granddaughter’s interest continues to grow. You never know, she could become a prima ballerina herself one day. Isn’t it lovely when our heart sings? Your comment made mine 🎶 sing too. Thank you, and Merry 🎄 Christmas. 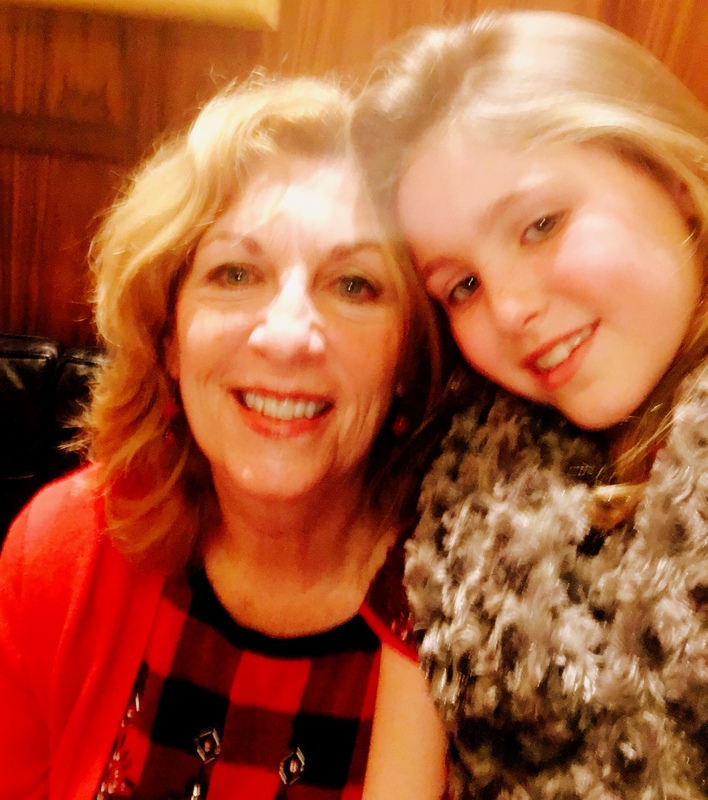 Grandchildren are as magical as the Nutcracker…..so the combination is definitely a Christmas blessing. Funnily enough, I had an ex-girlfriend who was a huge ballet fan and one Christmas we went to see the Nutcracker. I wasn’t sure about it at first, but I enjoyed it once it got started and I realized I already knew most of the music. I’m so glad to hear that you, your husband and your granddaughter were able to have such a wonderful time watching it together. I’m sure I would still like it. I’m not so confident about my sons, though. Our daughter’s birthday is Christmas Eve. 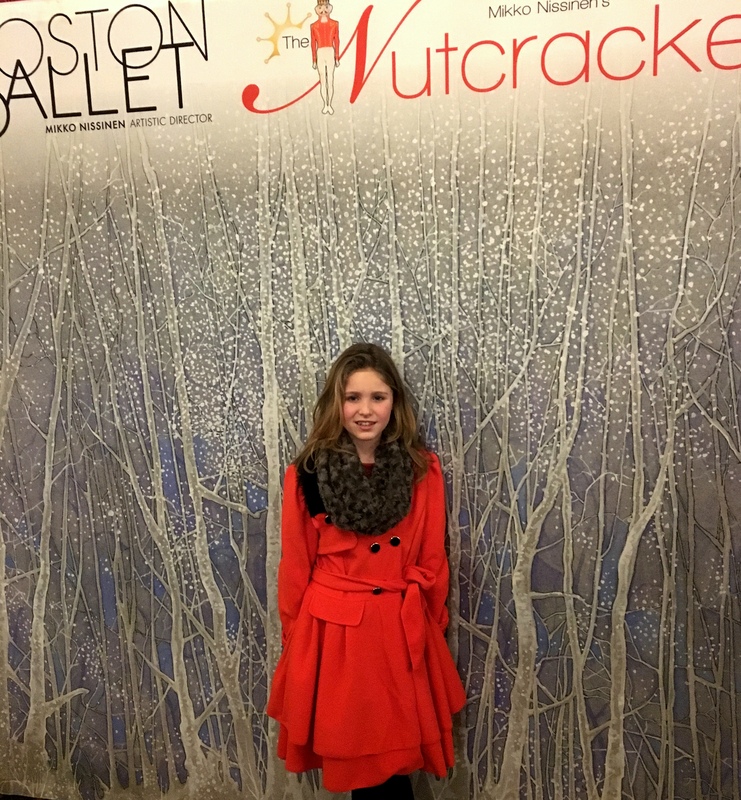 When she was about six years old, my husband took her to The Nutcracker as a birthday present. I didn’t go because I had to stay home with her little brother. Now she’s 22 and The Nutcracker is still a father/daughter bonding experience. We tried going all four of us one year when my son was about 10. He endured the first half quietly enough and at the intermission stood up and started to put on his coat. We said, “This is just an intermission” He said, with a pained expression, “You mean, there’s MORE? 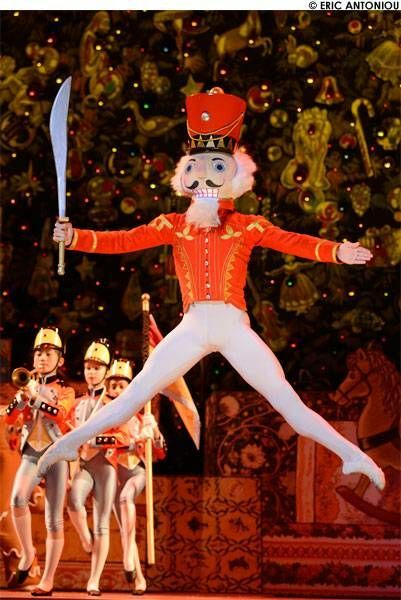 !” The Nutcracker is cherished by my daughter, studiously avoided by my son. And so it goes. Love The Nutcracker! But my favorite gift this year is spending time with my granddaughters! Merry Christmas and Happy New Year, Pam! Granddaughter time during the holidays is amazingly special. Hope you had a great Christmas holiday and happy happy New Year, Sharon. Such a beautiful Christmas tradition with a lovely beginning! Merry Christmas! Best gift is having 15 of us gathering from shore to shore, west to east. Worst is that one can’t make it. What a love story! I met an artist at Christmas time, December 18, 1965 to be exact. We fell in love over The Sound of Music (saw it 3 times). But it could have been the Nutcracker. He was nuts about me too – ha! 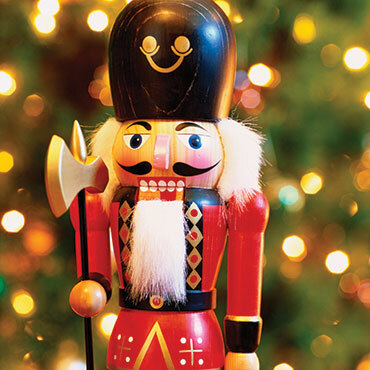 I love, love the Nutcracker, unfortunately I have not been to a performance in years. Maybe next year. Have fun and enjoy the holidays. Who wouldn’t fall for a guy who loves ballet? You have a wonderful tradition. Isn’t it exciting to watch a child or grandchild latch onto an unexpected interest? We never know what exposure will delight them or stick forever. A heartwarming post. Thank you for sharing. How lucky you are! That is so much better than watching some of the “other” Christmas movies! There is nothing like live ballet. Wonderful story, Pam. I love that you saw it at the Academy of Music. I feel now that we have another bond. 🙂 When our daughters were young, I won a Philadelphia Inquirer contest for box seats at the Academy to see The Nutcracker. The girls don’t remember it very well, but they got to meet the Sugar Plum Fairy, we received a nutcracker that we still have, and we got to go up on the stage after the show. We also used to watch the TV version with our girls. I love that you’ve continued the romance and the tradition! Happy holidays to you! As I read this, I was hoping you’d end up with him. What wonderful memories for both you and your granddaughter! Sweet story. Heartwarming, especially at this stressful time of year. May we find peace and love during this holiday season. Big hug to you, Anneli! I am SO excited for you- and excited for all of us in our writing class as we watched and listened to your book’s progress. CONGRATULATIONS! I hope you add the Nutcracker ballet to your holiday list next year, Andrea. I think you and I have similar sensibilities, and the gorgeous ballet will reach your spirit also. What a great tradition! Such an adorable new fan of the Nutcracker. Wishing you peace and joy through the season and beyond. I danced as the Sugar Plum Fairy way back when and LOVE the music from the Nutcracker. I haven’t seen it 30 times . . . but have watched it a dozen times, or more. What a wonderful tradition and every year your gift goes to help produce more ballets so the gift spreads and spreads. Yesterday, we visited Epcot and engaged in some German cuisine at the Biergarten buffet. Magnificent all by itself. But, it was followed by a beautiful rendition of the Candlelight Processional presented at Epcot where a guest narrator shares the story of Christmas. My gift to my daughter on her 16th birthday was a performance of the Nutcracker and she loved it!! What a great story! Your guy is a keeper. My best holiday gift was a trip back to Canada to see my family for an early Christmas!! Wishing you and your family a very Happy Christmas!! Thanks so much for supporting my writing habit. I do hope your granddaughter enjoys Amanda´s adventures. Happy New Year!! I love that your grand daughter is enjoying the Nutcracker as much as you and your husband! It’s a wonderful ballet, so I think you all have wonderful taste. Merry Christmas! Going to see The Nutcracker has always been a tradition here, too. It’s just the icing on the Christmas cake. Yes, best gift ever! You are truly blessed. Wishing you a Merry Christmas and a 2017 filled with good things. Must go and get my tamales and chili ready for tonight. I look forward to your blog each eeek because I learn more about your life after we left college!!! Your granddaughter is precious!!!! If you’re nuts, you are definitely the best kind of nuts. Can you believe I’ve never seen a live production of the Nutcracker? I’ve only seen it on TV a few times. This year my best holiday gift is to be celebrating with my sister and her husband for the first time in many years. Happy Holidays to you and your loved ones, Pam! together….making some special once a year recipes and enjoying friends and family times…. I still love Christmas, but it is with a little tear here and there…. loved your story, Pam and you!!!! Thanks- it’s always so satisfying to share and pass on a passion and joy. Happy happy new year to you! An enduring, iconic event! Sounds like you are all obsessed! But what a magnificent obsession at that! Obsession on tiptoes. 🙂 Loved having you here with your morning coffee. THANKS! 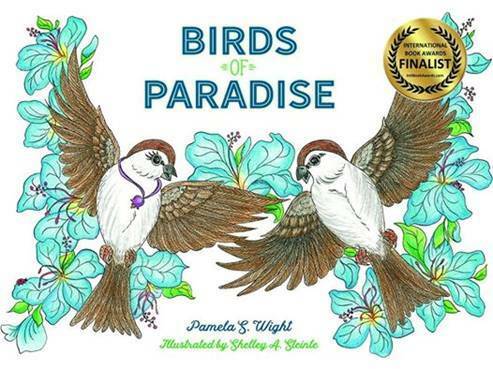 Just loved reading this Pamela!! So pleased to hear you stayed with that guy… haha… the right one, obviously!! 😀 I have seen the Nutcracker once… strangely just after my dad had died. My brother and I had gone through some terrible times with an inquest into our fathers death at a nursing home – we needed a bit of lightness that Christmas, I suggested seeing a ballet. I knew my brother was interested in seeing Swan Lake. Having seen a very dramatic piece of it performed on tv, he was convinced he might even like it – but the local theatre wasn’t showing Swan Lake that year, but the Nutcracker, so we went to see that instead. I think out of all the ballets I have seen it struck me as the most girlie ballet, so was very surprised my brother enjoyed it as much as I did. And it did help dark little minds a lot… don’t know how it did that, but it created some much needed magic. And I know our dad would have been well pleased we moved on from a hell hole and allowed the magic back in. My brother never used to like ballets, especially with those men in tights… it’s a man thing to hate the men in tights! 😉 But I’m thrilled to say he’s over all that now, and would happily go and see a ballet any time! I love your comments, Suzy. Thanks for taking the time to go through my latest blog posts. YES, you got it just right – ballet can give us a sense of magic, of lightness of being that doesn’t seem possible in the ‘real’ world. The Nutcracker was just the right performance for you and your brother to attend after that horrible darkness; I’m not surprised it helped. You’re reminding me of a time my guy and I went to see Swan Lake, and a woman sat in front of us, swaying her head and moving in supreme enjoyment. At intermission, for some reason, she turned and began to speak to me. Turns out she was a nun, and the ballet was her romantic pleasure, once a month. She was a feminist (would have nothing to do with my guy, kinda anti-man), yet, she was quite spiritual, and VERY passionate about her ballet. Funny world, yes? Smiling widely at the scene of your young daughter laughing throughout Nutcracker. How delightful!! Ha ha! Somewhere there’s a Cyclone Boy and a Blizzard Boy! Lovely story. My parents and my grandfather took me to Covent Garden to see Aurora (or the Sleeping Beauty) when I was nearly 8. I can still remember sitting in a box in my party frock and my daddy explaining that I would not be allowed to spit orange pips onto the dancers (??). My mother was theatre mad and wanted me to be an actress. Sadly, I was far too shy and had no talent. She watched with delight our oldest daughter making all her little friends dress up and act plays. She would be proud to see her grand-daughter directing plays in Chicago’s many theatre now. Aurora is such a lovely name, with a lovely meaning. I like when you can find common ground with a man (who you love) and also, a granddaughter. So wonderful and magical! I took my own three children once to see the Nutcracker. It was nice we brought binoculars and we had treats from my purse. Being a single mom meant we tried everything at least once, Pam! We loved laser light shows to music playing free in summers on downtown Columbus buildings. We found out about free will offerings at Shakespeare in Schiller Park (German Village) and I always packed a picnic. One year, Kate was wearing riding jodphurs and refusing to listen to her suitor in Taming of the Shrew. It was excellent set in the early Victorian era, where proper ladies didn’t carry whips around. 😀 My son’s favorite ones were the swordfighting in the battles, not the comedies. The cultural arts mean so much to our lives through enlightenment, historical references and progress. Thanks, Pam, for saying this about my own attempts with the family. I absolutely love the Nutcracker! I’ve danced n it many times and I play the music on repeat. (It’s also set at Christmas time, so that makes it even better for me!) Costumes are gorgeous too… I hope my school does it this year. Thanks so much for finding my ‘nutty’ story. YES, the immense grace, strength and talent needed to dance in The Nutcracker is astounding. I salute you for dancing the ballet – by far the toughest athletic feat in all of sports (yet not enough people understand that).